IN STOCKS NOW!! ARTIST : BTS 방탄소년단 TITLE : MAP OF THE SOUL : PERSONA VERSION 04 Other versions 01 /02 /03 available on different listings. 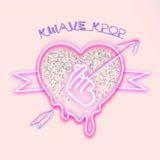 Do shop on our eBay store https://bit.ly/kwave_kpop BRAND NEW unsealed with all contents seen on pics 1 CD ALBUM + 1 PHOTO BOOK + 1 THE NOTES + 1 FILM (NO PHOTO CARDS) *If you prefer album with photo cards, do purchase it on another listing* All photos taken by Kwave_Kpop Shipping Policy • Buyers are responsible for providing us with the correct address • If parcel is redirected to back us, extra shipping cost will be incurred at buyer's own expenses • We are not responsible for any damaged, lost and stolen mail • Queensland buyers may message us to make an appointment if you prefer to self pick up your albums **Please be reasonable with your return/refund claims!! Minor scratches/perforations etc on album/photocards/poster/product are not substantial reasons for return/refund. Payment - we accept payment by PayPal only Message us if you had further queries Happy Shopping!